Prior to his election, Commissioner Hutchins had been appointed by Gov. Larry Hogan in 2015 as the director of the Governor’s Office of Homeland Security where he served as the personal advisor to the governor on all homeland security issues from counterterrorism to disasters. In addition, he served as a deputy chief of staff, supervising a portfolio of agencies including the departments of State Police, Military, Public Safety and Correctional Services, Veterans Affairs, Information Technology, Institute for Emergency Medical Service System, Emergency Management Agency and the Office of Crime Control and Prevention. Commissioner Hutchins was appointed by Gov. Robert L. Ehrlich Jr. in 2003 as Secretary of the Department of Maryland State Police and the Superintendent of the Maryland State Police. He had previously served in the department for more than two decades before his retirement in 1994. Commissioner Hutchins graduated from several significant professional schools of law enforcement, including the FBI National Executive Institute in Quantico, Virginia and the Leadership Academy of Policing Leadership and Command Programme, Bramshill Police College, Bramshill, United Kingdom. Commissioner Hutchins served in the United States Army and the Maryland Army National Guard. He is a Vietnam veteran and has served in many other countries around the world. Hutchins is a 1990 graduate of the United States Army Sergeants Major Academy in El Paso, Texas. He retired from the Army National Guard in 2004 after serving almost four decades of continuous duty. Commissioner Hutchins was elected three consecutive times from 1994 to 2003 to represent Charles County in the Maryland House of Delegates. As a delegate he served on the House Judiciary Committee, the Special Committee on Drug and Alcohol Abuse, the Criminal Justice Information Advisory Board, the Governor’s Task Force on Childproof Guns and the Governor’s Anti-Terrorism Work Group. He served in the House of Delegates until February 2003, when Gov. Ehrlich appointed him Secretary of the Department of Veterans Affairs. 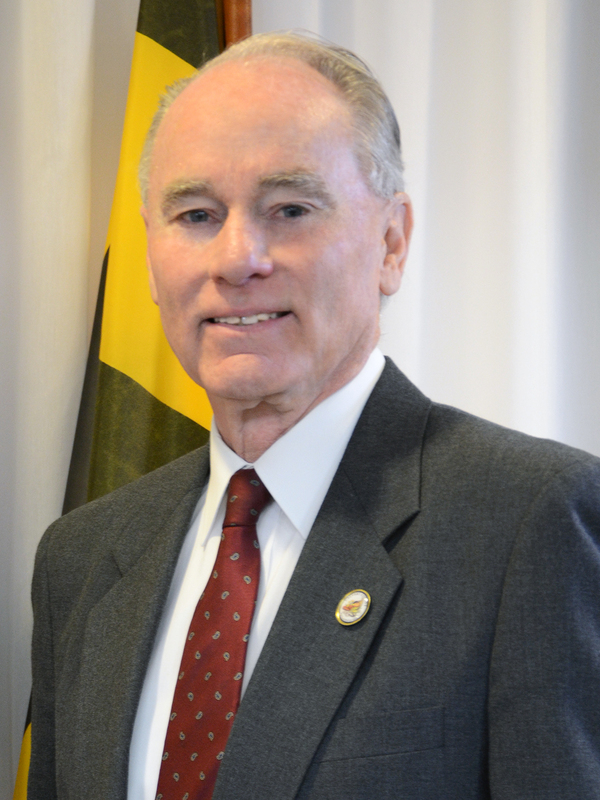 Commissioner Hutchins has a master’s degree in state and local government from the University of Maryland University College, a Bachelor of Science degree in law enforcement and sociology from University College and an Associate of Arts degree in criminal justice from the Charles County Community College. He founded a scholarship endowment at the College of Southern Maryland for military veterans who enroll in the law enforcement or public safety academic track. Commissioner Hutchins has worked as a contractor through a nongovernment organization enhancing law enforcement services in the Provincial Police Department of Cordoba, Argentina. He also worked as a contractor for the United States Department of Defense and has assisted a number of foreign law enforcement elements during his several careers. Commissioner Hutchins served in Estonia with the Partnership for Peace after the collapse of the Soviet Union and also served on a forum in Sarajevo reviewing postwar law enforcement issues. Commissioner Hutchins is married and has three children.